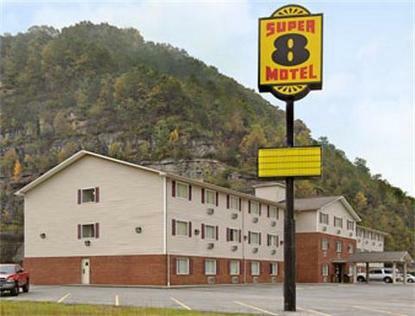 This property is located at the intersection of US 23 and Hwy 114 in the beautiful mountain area of Eastern Kentucky. We are next to shopping and restaurants, Archer Park and 1 mile from Mountain Arts Center, the home of Kentucky Opry. Jenny Wiley State Park is just 5 miles away. We are an 80 room, three story, interior corridor hotel with elevators. We feature Complimentary Super Start Breakfast, Free High Speed Internet, Cable TV with HBO, Refrigerators, Microwaves, In-Room Coffeemakers, Free Parking, 24 Hour Front Desk, RV, Bus and Truck Parking, Outside Outlets, Free Local telephone calls. All rates are based on double occupancy. Additional charges apply for more than 2 adults per room. This hotel accepts small Pets 10 lbs or less.